There are different needs when it comes to laundry detergent; some families require heavy stain removal while others are more concerned about odor. Fortunately, there are many stand out options. Whether you wash delicates in the sink or uniforms for the entire soccer team at the local laundromat, one of the following choices is sure to be the best working detergent for you. According to Consumer Reports, Tide Plus Ultra Stain Release was rated as the best liquid detergent. 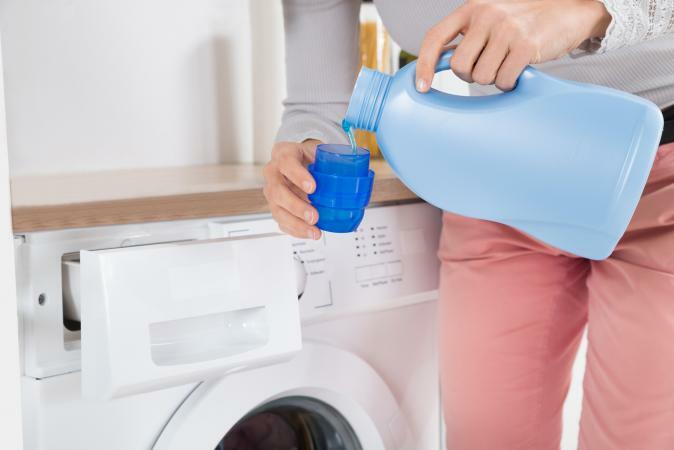 The testers found that this Tide detergent came out in the lead when it came to tougher stains such as grass, removing as much as fifty percent more stains that its contenders. 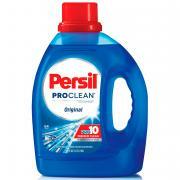 Lab technicians at Reviewed.com found Persil Original detergent stands out among other popular brands. It removed more stains than other brands, but not all users may like the scent, which can be described as sweet. It does get high ratings from reviewers, however, with users praising it for how well it cleans clothing. Another advantage is that it can be used for both regular and HE machines. Cheer Stay Colorful Liquid Detergent gets top marks from reviewers on Influenster, who say the product stands out for its subtle scent and how well it keeps colors from fading. Even though it's not specifically made for sensitive skin, many reviewers comment that it's non-irritating. According to reviewers who use Gain Liquid Original Detergent, it consistently leaves clothes clean, fresh, and with a long-lasting scent. Customers also comment it works well on stains and is a good value for the cost. Use it in all washers. 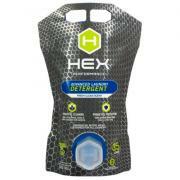 HEX Performance Advanced was listed as the number one detergent for workout clothing according to Runner Click. Because it's designed specifically for synthetic fabrics, it does a better job of eliminating odors rather than just masking them. It's also eco-friendly and non-irritating, but the scent may be too strong for some. Good Housekeeping recognized Tide Plus Turbo Bleach Powder as the leader among powder detergents and gives it top marks for working equally well in hot and cold water temperatures. It also gets a very good 4.6 out of five average star ratings from reviewers, who praise it for its fresh scent and excellent stain removal. Consumers should keep in mind this should only be used on bleach-safe items. According to USA Today, Mrs. Meyer's Clean Day Laundry Detergent came out on top among eco-friendly detergents they tested. It contains 97 percent plant-based ingredients and is surprisingly cost-effective. It has a citrus-like scent, which may not appeal to all users. 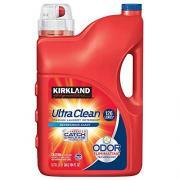 If you're looking for an excellent budget laundry detergent, The Wire Cutter recommends Kirkland Ultra Clean Liquid (available at Costco). The testers reveal this detergent does very well at getting rid of stains and odors, but it costs about half the price of other top name-brand options. The Spruce names All Free and Clear as one of the best options for those with sensitive skin. The lack of dyes and perfumes make it safe for anyone, and it performs well for general laundering. Heavily stained clothing, however, may need pre-soaking or a repeat washing. It's safe for all washers. 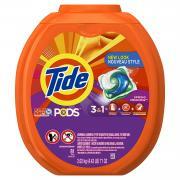 When it comes to best-selling laundry supplies, Tide Pods 3-in-1 in Spring Meadow scent tops the list according to Amazon reviewers. Users say the pods are easy to use, effective, and leave clothes smelling fresh. Testers at Best Health Magazine also gave this detergent a high rating for its excellent scent. The pods can be used in HE and regular washers. When it comes to washing delicates, testers found that Soak is the winner. Its formula doesn't require heavy rinsing, so you'll handle your delicates less. It's safe for wool, cashmere, and silk and has a light but pleasant scent. It's also easy to use and eco-friendly. Bother the regular and HE versions of this detergent are highly rated. The regular version makes Good Housekeeping's top list; it stands out for whitening and brightening properties. The HE version is ranked as one of the best according to The Wire Cutter's tests; it performs well in terms of cleanliness and gets top marks for its fresh scent.